The Southern Expressway, Sri Lanka’s first highway, is wonderful (toll cost notwithstanding): you can drive fast, travel comfortably, enjoy amazing verdant scenery, and cut your travel time by approximately half. Ten years in the making, the Southern Expressway (E01) was cause for much elation and pride among Sri Lankans as they took their first highway journey. Bordered by lush paddy fields, rubber estates, hills and forests, the expressway offers a scenic drive that belies the years of hardship and loss that lie under its tarred surface. The enormity of its length and breadth indicates the vast amount of land on which the expressway is built. Land is the essence of a lifestyle; it defines our livelihood and our culture. What we do for a living, our associations with our neighbours and friends, and what we do in our free time often depends on the characteristics of the area and the land on which we live. Along the trace of the expressway there lived ordinary families much like ours, in structures they called ‘home’, whose comfort they sacrificed for us to have our convenience – for a smoother, faster, scenic journey. This article presents some of the stories of those who were affected by the construction of the expressway, and how they coped and recovered, and emphasises the need to build infrastructure through an equitable process, where those affected by it can also benefit. The Southern Expressway connects the capital of Colombo to Galle, a coastal city in the south of Sri Lanka. The road traverses urban, semi-urban and rural geographic settings and cuts across land with a population density of 940 per square kilometer (much higher than Sri Lanka’s national average of 351). The project, then known as the Southern Transport Development Project (STDP), displaced close to 1338 families, with about 4000 families losing their agricultural and commercial lands to the project. On average, households that lost a house had access to 20-50 perches (330-835 sq.ft) of land (urban and rural alike), and a living space of an average of 3-5 rooms. In the semi-urban and rural areas they had access to a home garden that was a vital part of their daily food consumption. 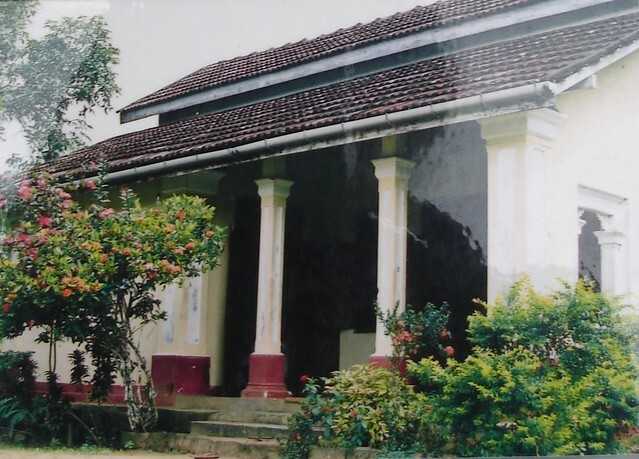 Houses with an extension to agricultural land had adjoining tea, rice or rubber plots averaging 2.5 acres. This space permitted them to have extra livelihood activities such as livestock rearing. A significant number of people lost their traditional and ancestral lands and the lifestyle that went with it. The plots of land they were given as compensation distanced them from their familiar localities and they also felt a loss of identity. Once the road trace was finalized and their displacement confirmed, the process essentially included informing those affected, negotiating compensation, taking over the land and resettlement. The project made available two options for displaced persons to relocate: firstly, to relocate on their own, which was encouraged by monetary allowance, and secondly to relocate to a plot of land developed by the government implementer, often within close proximity to their homes. Those who relocated on their own did so on remaining land, or on other land which they owned. However, very few decided to move away from the vicinity of the original locations, choosing to live within the resettlement housing schemes. This choice had long-term impacts due to its proximity to the expressway and its construction. A crucial period in the displacees’ timeline was the time between the date of leaving the land and the date of settlement. About three quarters of the displaced population spent time in a temporary location for about a year and a half before moving to their new permanent residencies. The temporary residencies were very often poorly built, with only basic amenities. This was a disruptive and traumatic experience, both physically and mentally. Households with members who needed special care and attention, including young children, the elderly and the sick, found this period very challenging. Most relied on the helping hands of their extended families who provided accommodation and care during the difficult period; this was the most common coping mechanism. Households that were going through critical life events during this period were also particularly vulnerable. Sunil, a young shopkeeper of 29, was asked to demolish his house or risk losing his compensation. At the time, his wife was pregnant with their second baby. Concerned about her safety and well-being, he found it difficult to comply with the request. Compensation for housing structures was given at the cost of its replacement, considering its market value and the transaction costs. Additionally, it included the cost incurred in replacement of utilities such as electricity or water, temporary house rent and other allowances such as livelihood allowance and vulnerability allowance. Losing a house in this context is not limited to the physical structure, but also the lifestyle associated with it. Many of the displaced had frequently engaged in backyard home-gardening and livestock rearing. The surrounding greenery, fresh air and wildlife were assets that could not be monetised and the value of these spaces was realized only after their loss. The project established mechanisms to replace community spaces such as waterways, community wells and community halls, but this took place much later. Sirinahamy, the elderly lady who detailed her close ties to her former community, did not settle well into her new home. Her daughter Sama, a 67 year old housewife, explained that “Amma [My mother] doesn’t like to live here as there is no large space in the garden. She says that it is like living in a box here. And she says the water is not good because we had wells and small streams there around the house. She says that when she takes a bath here, her hair falls off”. Losing the place you call home is a difficult experience. Having to give up your home involuntarily for the country’s development is especially hard if you don’t have the economic means to make use of the infrastructure yourself. According to the Central Bank of Sri Lanka (2011), 78% of the vehicle usage in the Southern Province consists of three-wheeler taxi and motorcycles, neither of which are allowed on the highway. This means only a small minority can access the expressway. It is only justifiable then, to treat with respect those who sacrificed their land for someone else’s benefit. 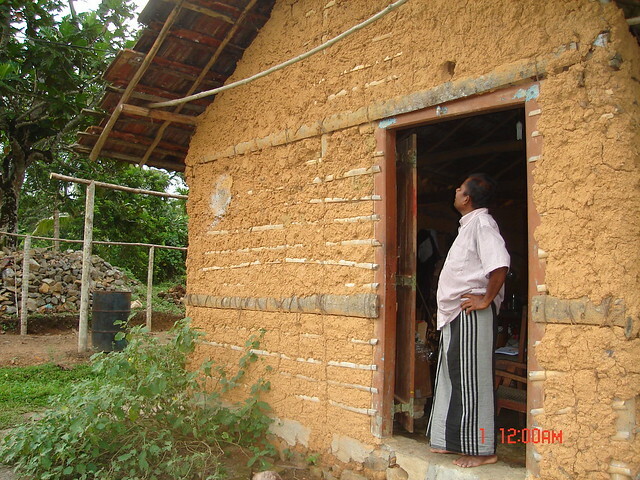 The evidence from the southern highway resettlement in Sri Lanka suggests that having adequate safeguard mechanisms and an equitable process in place are helpful for affected persons when rebuilding their houses. Providing land and adequate compensation has been especially helpful in recovery. Squatters, who accounted for a fifth of the total displaced population, benefited greatly from getting ownership of developed land. 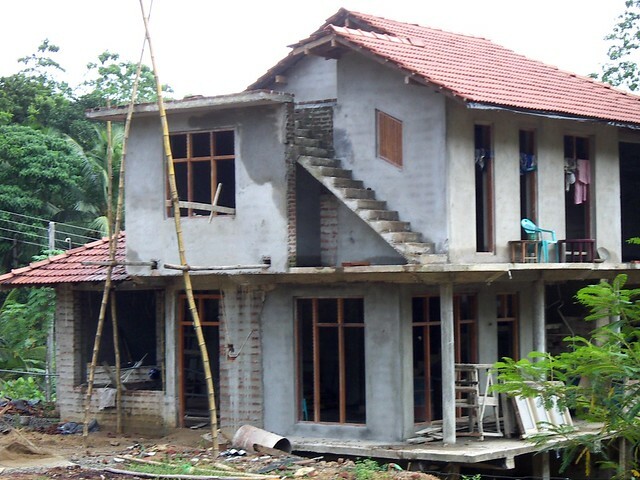 This is a step forward from Sri Lanka’s existing law on land acquisition, in which non-title holders are not recognised as eligible for compensation. The transition period remains the most challenging of the displacement and resettlement process; this is particularly difficult for households with people needing extra care. Having an allowance for disturbance is helpful, but people tend to cope as best they can and save the money for a ‘better house’ at the end. While housing conditions improved for a majority of the people, a consultative system on how to best utilize the compensation would have been helpful in managing unnecessary spending which resulted in delays in resettlement. Loss of green spaces and the green environment is an indisputable concern for this group, and something that money alone could not compensate for. Providing lands in advance for people to start their ‘greening’ would have been helpful, so that the spaces would be adequately ‘green’ by the time they moved in, but these are often details that get compromised as big construction deadlines undermine people’s priorities. 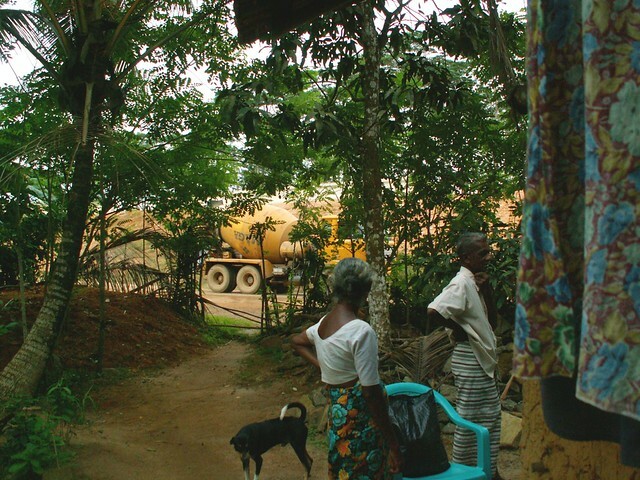 The experiences of Sri Lanka’s first highway have provided many insights and set a blueprint for how development-induced displacement should be handled in the future. It primarily highlighted the need for an advisory process among those who are displaced to ensure that the community does not feel helpless in the process. First image looks like “old walwa”. It is actually a nice and useful piece of information. I’m happy that you just shared this helpful info with us. Please stay us informed like this. Thank you for sharing.